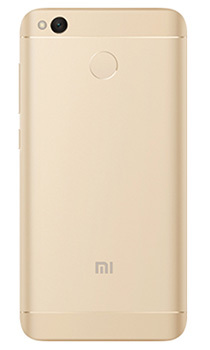 Xiaomi's Dual Sim Redmi 4X packs in an incredible 4100mAh batter offering up to 18 days on standby mode and up to 2 days with heavy duty usage. It also offers better, sustained performance on the Snapdragon 435 octa-core processor. Expect better, faster, and longer performance with our new Redmi 4X. Now you can play your favourite mobile games all-day, every day without experiencing any delays, thanks to the 32GB Memory and 3GB RAM. Capture crisp and vivid photographs on the 13 megpai rear camera that comes with PDAF for 0.3s fast focusing. Comes with a whole range of built-in camera functions that help you take effortlessly beautiful panoramic and clear night shots. You can even apply our 36 built-in smart beauty profiles and whole range of filters in real-time to enhance your photographs. Housing a 5ʺ HD display, the Xiaomi Redmi 4X sits in your hand snugly. The designers have gone a step further to improve the ergonomics, dressing it up in a beveled metal frame with tapered edges that rests comfortably in your palm, even during marathon gaming or movie sessions. 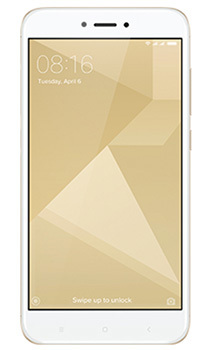 The front 2.5D curved glass feels smooth when you tap or swipe your fingers across the screen. You can always let your fingers do the unlocking. Redmi 4X comes with a fingerprint sensor that allows you to quickly unlock and access your private profile and files, fast. Use different passcodes or fingerprints to access different profiles on your Redmi 4X, each with its own wallpaper, apps, files, and photos.